Showing results for tags 'oob'. As new module is coming, I would post some suggestions about Soviet rifle TO. 1) I've found out that since 1943 in Soviet rifle companies 1 platoon of 3 was armed with SMGs, with exception to machiengunners and snipers. This is a scan of rifle TO&E 4/550, 1943: There is written: "Один взвод вооружается пистолетами-пулеметами за исключением снайперов и наводчиков, в количестве 23 автомата" "One platoon is armed with SMGs with exception of snipers and gunners, in number of 23 SMG" And this is proved by many other documents, (summer 1943) where is described experience of using SMG platoon, supply problems, tactical suggerstions e.t.c. "Avtomatchiki" should infiltrate in enemy positions and suddenly attack from flank or rear, in short. 2) In the late period of war rifle units didn't have enough personell, so reduced TO&E were in use. In that scan above you can see that rifle platoon had 28 men. PL, assistant, 2 snipers and 3 squads. In squad: leader, gunner - leader assistant, gunner assistant, 5 riflemen, 8 men in total. 3) Actually number of SVT rifles was low, According to TO&E each rifleman must have SVT, but in fact since 1942 production number was very low, so realistic number would 1 per squad with 50% probability or so, May be for №2 in sniper team, By the way, second man in sniper team also should have a "marksman" skill, (As you see in scan above, there is 2 snipers) He should have a scoped rifle also, but in fact there were not enough scoped rifles, so snipers used usual rifles, chosen for better accuracy. So what do you think about this? There is suprisingly few Russian sources about Soviet TOs, may be I missed something. Let's discuss it. 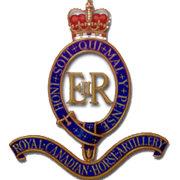 As of patch 1.12: * Canadians Mech Infantry branch option for Quick Battles is no longer available before February 1944. This is all well and good. However, this also means that Canadian Infantry Battalion 43A has a Carrier Platoon with no Universal Carriers. The Antitank Platoon, similarly must manhandle the 6 pounders into action. It also means that Canadian units cannot purchase lorries in '43 as single vehicles or purchase jeeps to shuttle teams around. Is there a way to remedy this? Perhaps allowing the purchase of supply platoons of trucks, or purchasing Bren Platoons and Motorized AT separately? Custom formations and/or an OOB editor? Hi there! I'm wondering if there's a way to create custom formations in CM:BS? Example I'd like to create a Motorized Cavalry element with a Rifles supplement operating under the same chain of command, is it possible to do this in the QB and if not is there another way?